It’s been quite a few days since I’ve written anything. It isn’t because I haven’t had anything to say, or that I’ve been uninspired. It’s simply that I’ve been tired. I’m really getting back into the swing of things with going to the gym and running four times a week, and by the time I get home at the end of the day all I want to do is eat and sleep…and that’t exactly what I’ve been doing. I hopped on the scale this morning and I’m down another pound. Usually, I would be upset about only losing a pound after all my hard work, but now, I’m OK with it. A loss is a loss and it’s better than staying the same or going up. Plus, with the amount I have been running and working out, I’m sure I gained muscle somewhere in there. And the real kicker? In 3.8 more pounds I will hit 50 pounds lost since last January (60 since June 2012). All the tiredness and soreness and grumpiness when I couldn’t eat junk food was definitely worth it (even if it didn’t feel like it at the time). I can’t believe that I am up to 2.25 miles when I run. And I’m not letting anything get in my way. Less than a year ago I never would have run in the rain, in the snow, when temperatures were below zero, or even when I was just too tired to go. And in the past two weeks I have done all of these things. It’s crazy to think that not so long ago I could barely run a minute. I was starting to get a little down about the fact that I am still so slow. I swore I was a lot faster before I took the month of December off. But when I looked back on my Map My Run workouts, I really wasn’t. I’m actually at about the same pace, but going for longer distances so I’m excited about that. My goal is to get up to 3 miles consistently before the end of January and I’m pretty sure I will be able to do it. What I’ve learned is that the first mile is the hardest, the second mile gets a little better, and after that it’s surprisingly more easy. Yes, I just used the words “mile” and “easy” in the same sentence. I haven’t been having any out of the ordinary pain lately, which really makes me happy. I’ve been doing a ton of cross training, stretching like crazy, and recently began riding the expresso bikes at the gym in order to help strengthen my quads/upper legs. I was even able to get back to Cardio Dance! I had been thinking about trying to find a race to run in February before the Shamrock Run in March. The only ones I could find in my area were more than a 5K (not ready for that…yet) and the Valentine’s Day Undie Run (HELL NO!) so it looks like my first race back will be in March. And while my original goal was to complete the 100 mile challenge by Christmas, taking the month of December off did not help and I did not finish on time. Fortunately, I’m not the type to give up, so I’m going to finish it by the end of this month. I can’t believe I only have 12.7 miles to go! I was feeling kind of low this morning. I went for a run and it was remarkably slow. I really felt defeated that I wasn’t back at the mile time I was before my knee injury. With the feeling of defeat came the feeling of self doubt. Why am I even doing this? 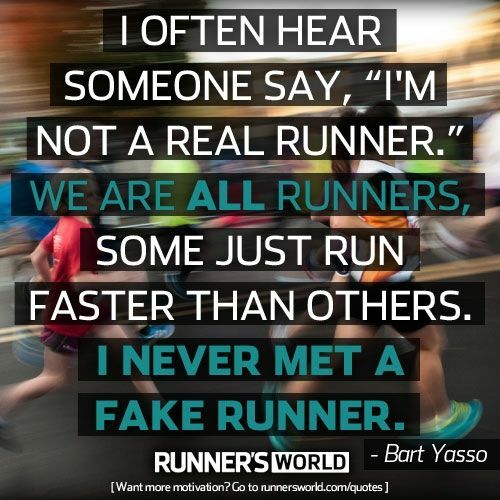 I’m never going to be a “runner” so I should just stop now. This is the fastest it’s going to get so I should probably get used to it. Then, after much agonizing and self doubt I decided to change my perspective. 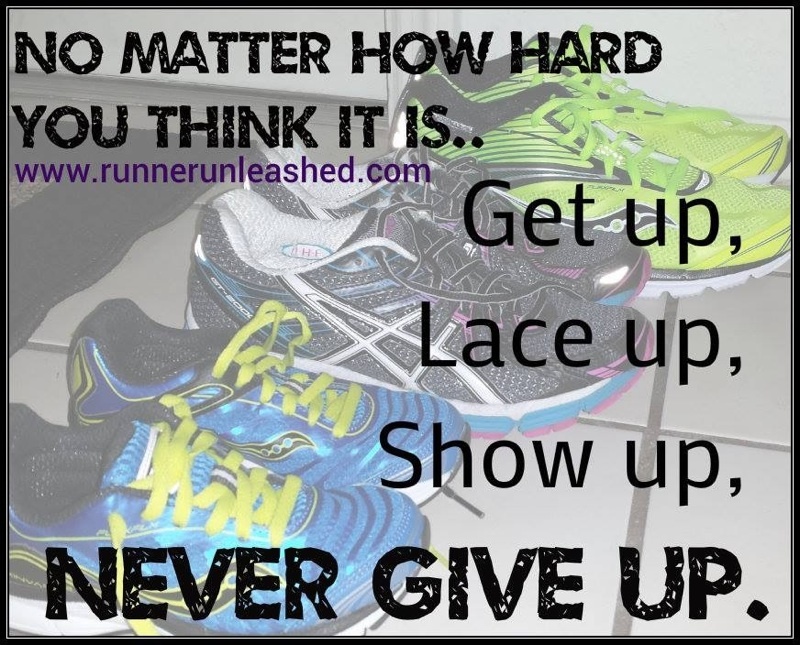 No, I’m not as fast as I used to be, but I’ve only gone for four short runs (in new shoes) since I began running again. No, I’m not as fast as I used to be, but we just got 3-4 inches of ice and snow and it’s been close to 0 degrees and I still went out twice (and didn’t kill myself on the ice). No, I’m not as fast as I used to be, but I’ve also been cross training like crazy (strength training, body weight exercises, additional cardio, yoga) so my body needs to catch up to what I’m doing to it. No, I’m not as fast as I used to be, but who the hell cares. I’m still out there. I’m running. And I feel wonderful. And, really, I’ve accomplished quite a lot, even just since Christmas. I’ve stuck with my running and gym workout plan. I’ve completed every day of the plank, push-up, and squat challenges that I decided to work on this month, I’ve lost almost 5 pounds, and I’ve been eating quite a bit healthier and tracking it all on My Fitness Pal. Plus, today, I put on my new pair of compression running pants I got on clearance at Dicks. And they are an XL. And they fit. Yup, only one X in that size. This time last year, there were three. It’s amazing how things change and how even the bad things in our life can lead us to something good.